Trials riding at night in the urban setting of Cahors France. 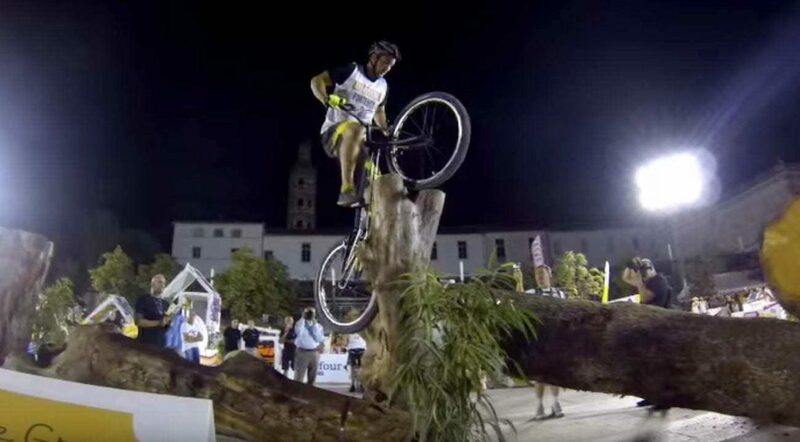 Massive tree stumps, concrete stepped obstacles taking the riders high up off of the ground, make this a truly unique urban trials course. Aurélien Fontenoy cleans the extended tree setup to the finish. BLASTED Cahors Trial Urbain.